We rang in the New Year with friends at McDowell Mountain Regional Park in Arizona. Respecting the need to retain the sanctity of ‘RV midnight’ (8 PM), we celebrated London England’s transition to 2018 around a propane fire pot at the Visitor Center. 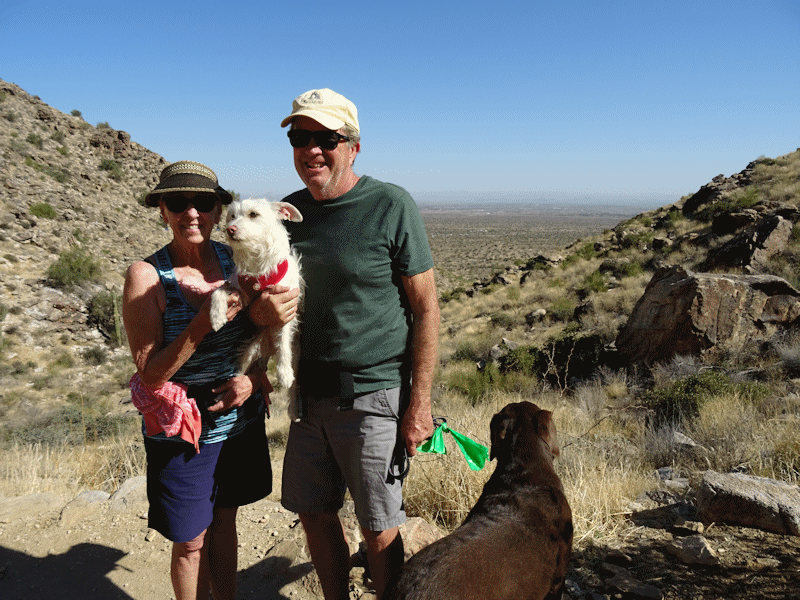 In February, we spent 2 weeks camping with our dear friends Mike and Shirley O’Kelly at White Tank Regional Park near Surprise, Arizona. They were about to set off on a big adventure in the spring – moving from Utah to Florida – so we appreciated every moment with them, most likely the last time we’d get together in Arizona after almost a decade of camping fun. In March, I survived jumping off a building. We returned to the Okanagan Valley in British Columbia in late March where we deplored the murky, rainy weather for two whole weeks until we set off for Calgary, Alberta, where we picked up my new car. Yes, I finally retired my 14-year-old Mercedes ML350, opting for some new technology. It was Ed who really loved the Alfa Romeo, Stelvio, so I just had to buy it. Granted, now he wants to drive it all the time, despite having 2 vehicles of his own. Picking the Stelvio (now named ‘Alphonse de Rosa’) up in Calgary presented the perfect excuse to stay a few days in Banff, one of my ‘happy places’ on the planet. We went to Bow Falls, Vermillion Lakes, Lake Minnewanka, Two Jack Lake, the Rundle Room at the Banff Springs Hotel. We also enjoyed a soak in the hot springs. We spent a day at Lake Louise and walked the full length of the lake, on the lake. What a fabulous opportunity to see snow… tons and tons of it. Granted, that snow made for an interesting drive back to the Okanagan. Ed spent most of that drive reading the owner’s manual. Yay, Ed! As it turned out, the Stelvio received 2 recall notices on the day we picked it up. Because our closest service center is in Maple Ridge (5 hours away), we saw that as another perfect excuse to schedule a lovely little vacation at Harrison Hot Springs in early May. In late May, I set off on a ‘retreat’ designed to curb my enthusiasm for festive beverages. I left after 20 days for various reasons which I may blog about someday… just not today. We enjoyed a ‘house guest-free’ summer, which after 2 very busy summers (2016, 2017) in our new home on the lake, was a welcome and relaxing change of pace. 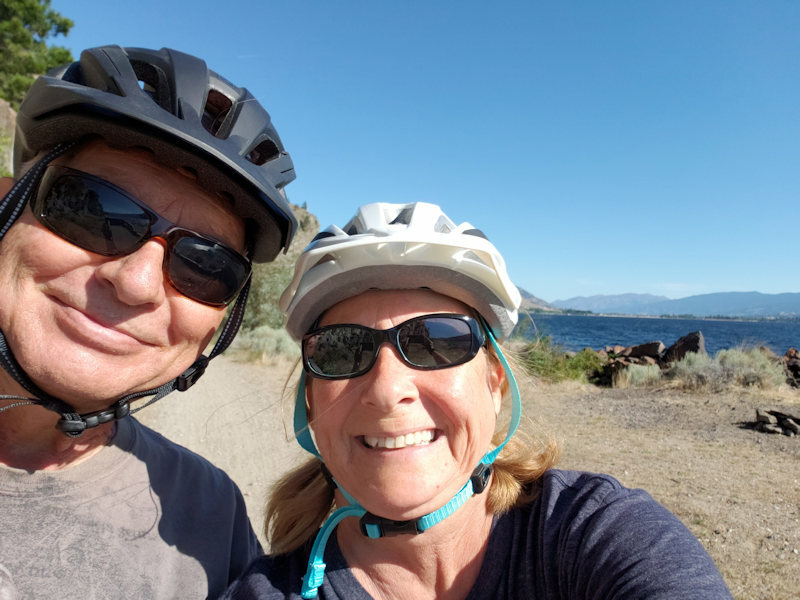 We enjoyed bike rides, cooking, afternoon visits with friends and simply watching the sun rise and set. 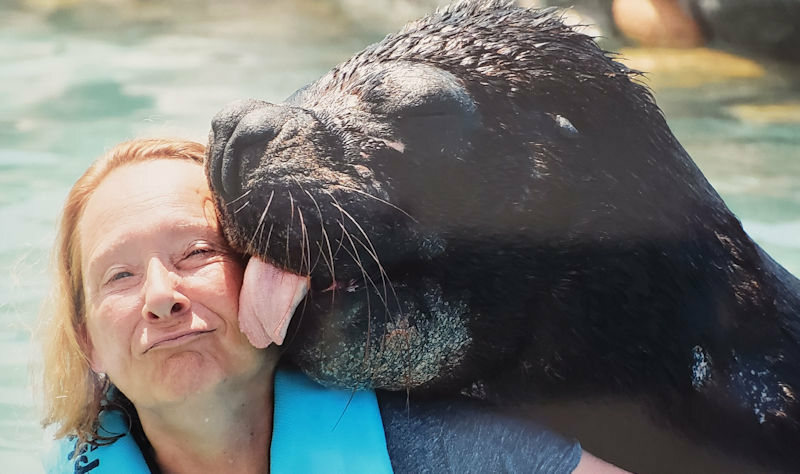 In late September, we spent a week in Puerto Vallarta where I had a total blast hanging out with dolphins and sea lions at the Dolphin Adventure. We also did a little bit of real estate research, as we plan to spend our winters in one place instead of snowbirding over the southern U.S. in the coming years. That said, the end of 2018 saw us back at Catalina State Park in Oro Valley, Arizona (near Tucson), our very favorite place to camp in the winter time. On December 11th, I celebrated my 59th birthday at the Arizona Sonora Desert Museum which is such an amazing place! And once again, we celebrated New Year’s Eve with friends from McDowell Mountain Regional Park… only this time at a very lovely restaurant.